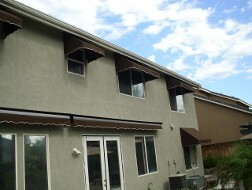 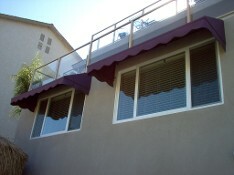 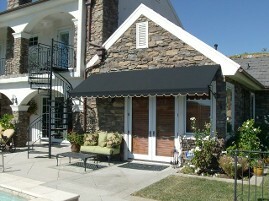 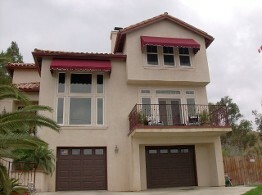 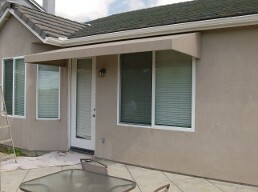 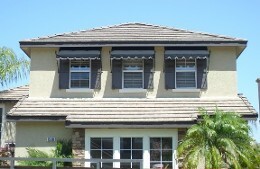 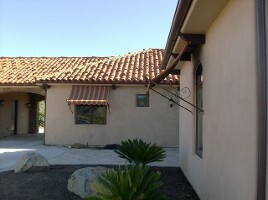 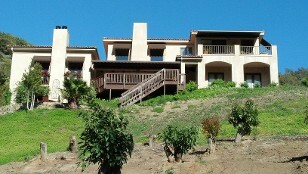 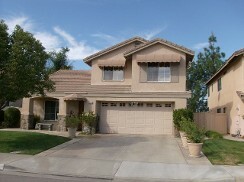 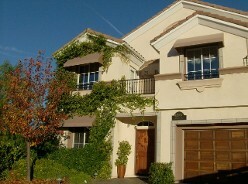 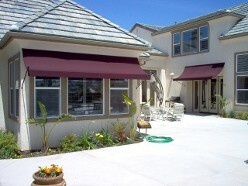 The benefits of awnings go far beyond aesthetic appeal. 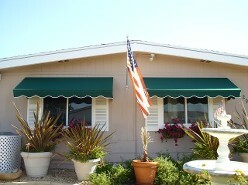 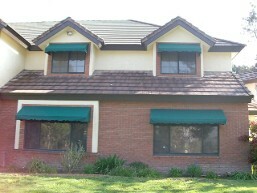 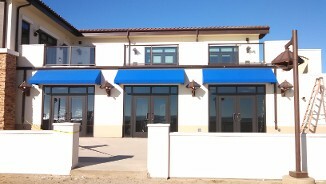 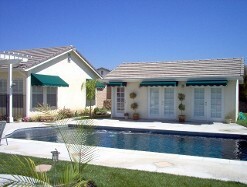 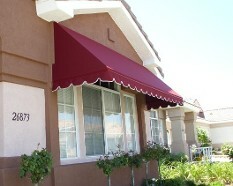 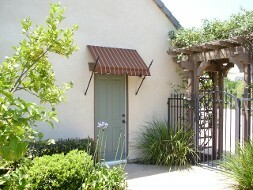 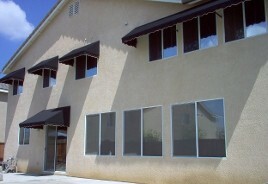 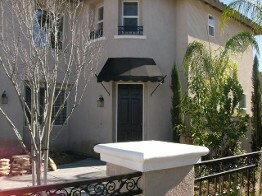 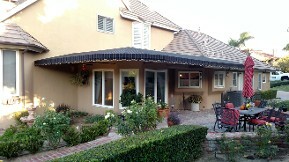 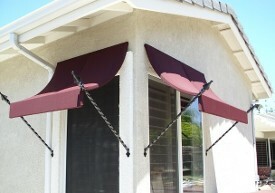 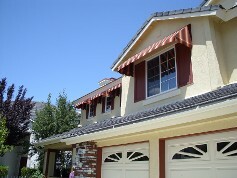 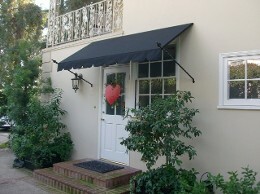 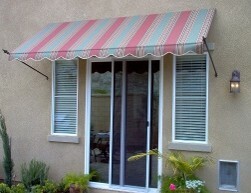 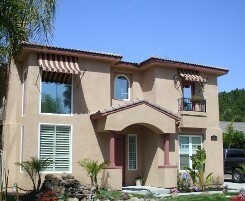 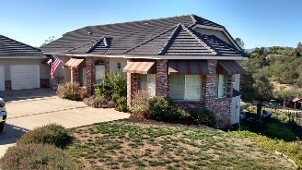 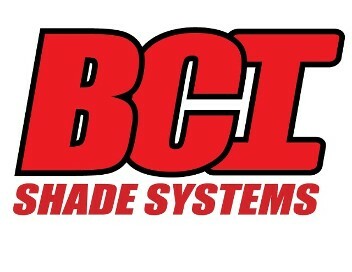 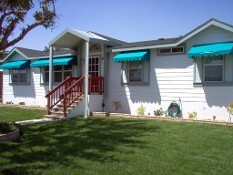 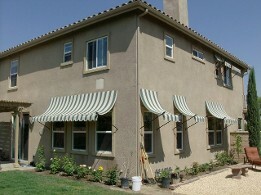 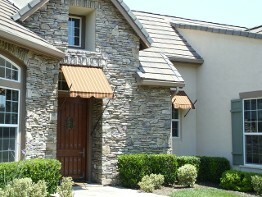 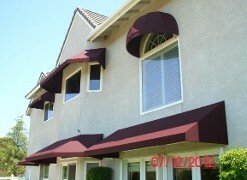 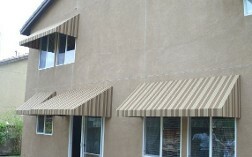 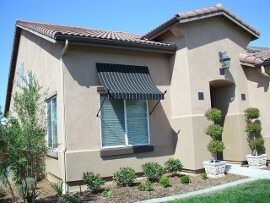 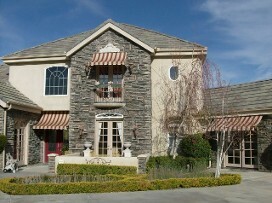 Awnings can enhance the look of your home or business by adding shape, dimension, and color. 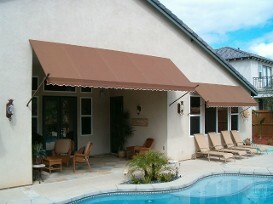 Awnings reduce air-conditioning and heating costs, eliminate fading in upholstery, drapes and carpets, and add comfort, style and elegance to your home. 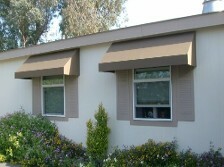 Studies show that a fabric awning when the sun shinning directly on southern facing windows reduce heat gain by 55-65 percent and for western exposure, the reduction in heat gain is 72-77 percent. 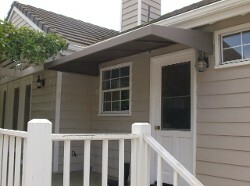 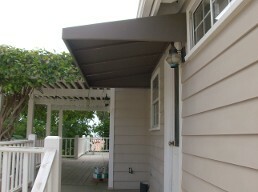 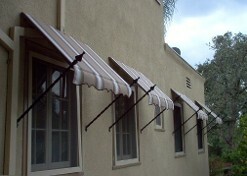 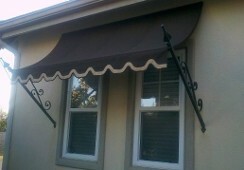 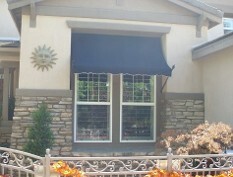 Our fixed awning's come with different options for the valance and scallop choices to choose from. 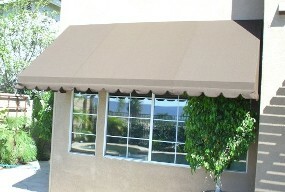 Our fabrics come with an 8-10 year warranty.